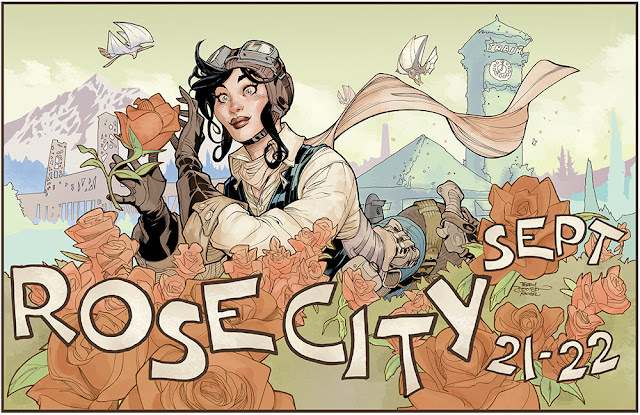 Rose City Comic Con is time again. I will be sketching, signing, etc and Rachel is going to be there! The majority of the convention Rachel and I will be at Artist Alley S-01, and I will be doing a Demo on Sunday. 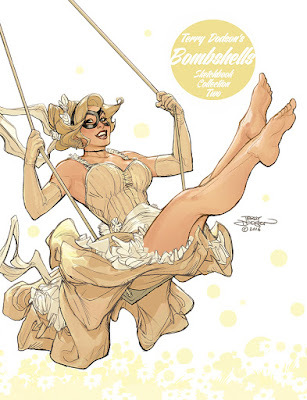 There isn’t much superstar Terry Dodson hasn’t done in comics. Come watch him give live art demonstrations and answer your questions. Basically, I will demo one of my Copic Marker convention sketches and hopefully answer some questions - should be fun! Red One #3 ships Wednesday, September 7th. Get you copy signed by Rachel and Terry and check out the original artwork. My new sketchbook will be available at RCCC. Be sure to check out the new 48 page collection! 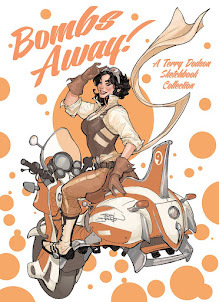 This collects the out of print Bombshells Sketchbooks #4 - #7, the out of print Reveries sketchbook and new material - all rescanned and in a gorgeous hardcover format! First 5 signatures are free, and then we will charge $1 a signature after and $5 for a Witnessed Signature. I will take sketch requests until 3pm Saturday at the show. I will write down all names HOWEVER I will be choosing myself who's sketch I'm drawing and if you had a sketch recently I won't be doing you a sketch so I can try to get sketches down for fans who I haven't done sketches for. I will decide on the sketches I will ATTEMPT do at the show by 400pm Saturday and inform everyone then if they are the list. 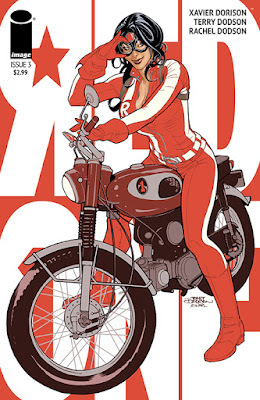 plus new selected covers, pinups and sketches! Hi Terry. I'm your fan, you'll love what you do and pass it in their work. I follow their advice and thank you for them. I hope to see you some day at Comic Con in Brazil.